WorldFood Azerbaijan has established itself as the Caspian Region's leading food industry event with a history of 20 years at its venue. 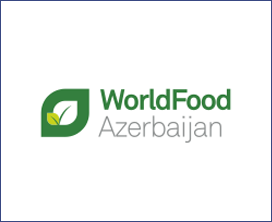 Over the years of its existence, WorldFood Azerbaijan has proven itself as a reliable platform for annual meetings between experts, and demonstrations of equipment, products and services in the food industry. The exhibition provides opportunities to find new customers strengthen existing relationships with business partners and enter new sales markets.